Our program has three tracks which target students at different points in their education. The tracks differ in the degree of independence students experience when conducting research. We encourage students of all backgrounds and with varying levels of experience to apply to each of the tracks. We review applications, choose a group of students that comprises a diverse mix, and place students in the program that best fits their experience. Fifteen to twenty students will be in each independent research track. In addition, a few research interns will be accepted. All three programs run concurrently during the ten-week session from June 8 -August 16, 2019. Details are below. A flier describing our program is here. Full-time Independent Research (with Senior Thesis Option) – 10 credits. This program targets students who wish to conduct a full-time independent research project in field biology. Applicants may be currently enrolled in an undergraduate program, graduates of an undergraduate program, or may be early in their graduate career. Students conduct independent research under the supervision of RMBL scientists. Independent Research and Course – 8 credits for independent research and 2 credits for the course. Research Internship – No credit. 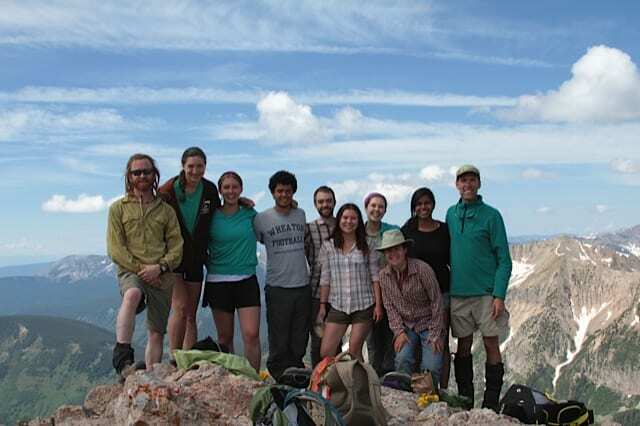 This track targets students who are new to field biology and wish to gain experience conducting research in the field. Research interns will be a research assistant with a mentor and labgroup for 35 hours per week. Interns will participate in RMBL Educational enrichment activities, including discussions and seminars, for 5 hours per week. Scholarships, but not REU awards, are available to Research Interns. This summer, 10 students will be accepted with REU Awards. Students receiving an REU award may participate in either full-time independent research or independent research/course, as described above. Students accepted through the Research Experience for Undergraduates (REU) program receive a $5,750 stipend, free room, board and travel. REU awards are restricted to students who are not only citizens or permanent residents of the United States, but also have not graduated from college before the dates of the program. Minorities underrepresented in the biological sciences are strongly encouraged to apply. Mentors: A LIST OF POTENTIAL 2019 MENTORS AND PROJECTS IS POSTED HERE. (last updated 3.22.19).